In the Stream, there are several changes to the left sidebar. The first noticeable change is that the class code is no longer visible in the Stream. Instead, it is found in the sidebar of the Student section. In its place, there is a Topics card. This new card allows categorical topics to be added to posts in the Stream. 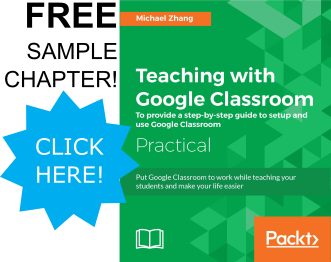 These topics can be specific units, resource categories, or any other classification needed. 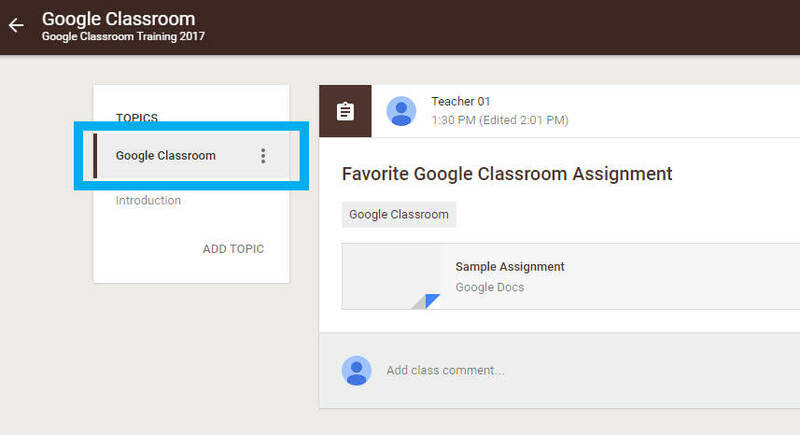 One teacher uses topics to also indicate whether a post contains enrichment information that is fun and interesting but not part of the unit curriculum. 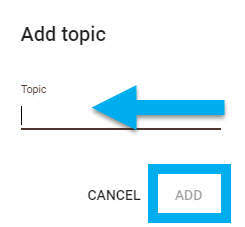 To start, created topics by clicking on the ‘ADD TOPIC’ button, shown below. 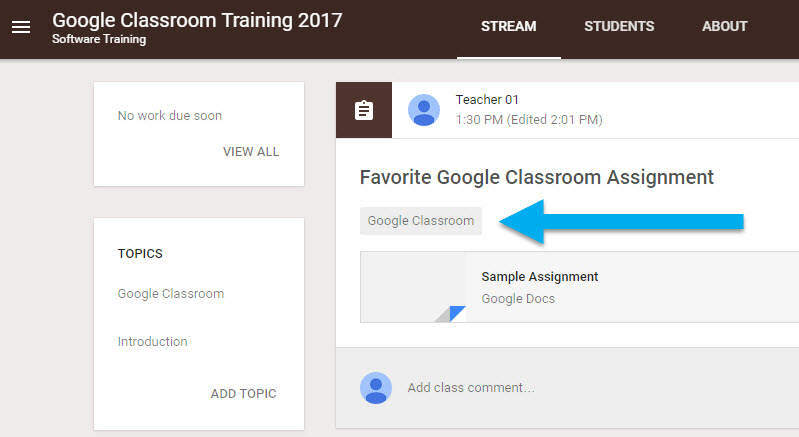 A dialogue box will appears where the topic name is filled in. 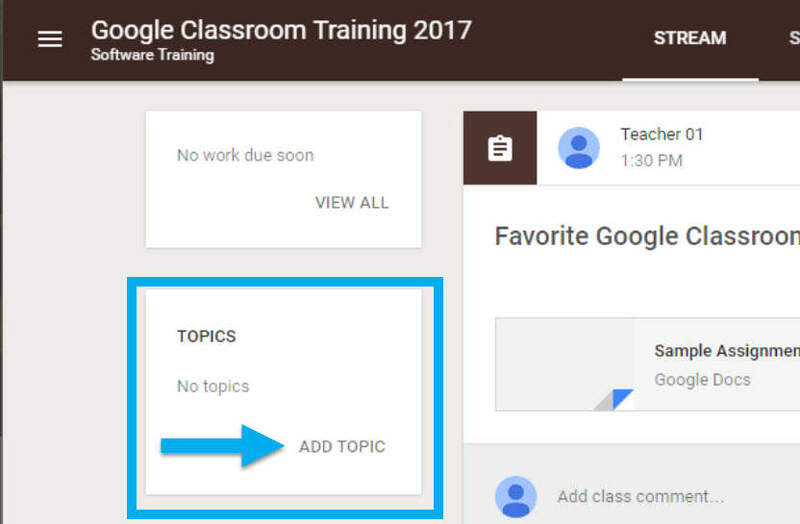 Topics names will appear in the Topics card in the sidebar. When creating a post in the stream, find the ‘Topic’ drop down menu in the dialogue box, shown below. 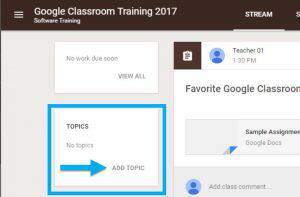 Then you are able to select a pre-existing topic or create a new one. To add a topic to a previously created post, simply click on the kabob menu of the post and add the topic using the same method as creating a new post. When a topic is added to a post, it will be visible below the post title, seen below. In order to view all posts categorized within a topic, click on the topic name in the sidebar.